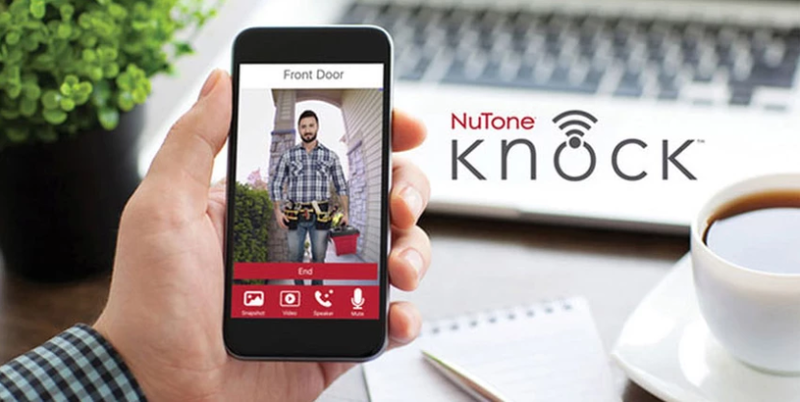 From home security to monitoring mail and package deliveries, the video doorbell from NuTone offers you total peace of mind, and with the system’s convenient app, you can keep tabs on your home via your smart phone or tablet from anywhere in the world! The benefits don’t stop there though! 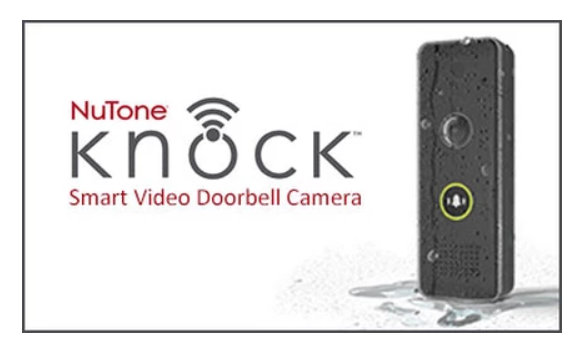 Keep reading to see why a video doorbell from NuTone Knock is the perfect addition to your home. 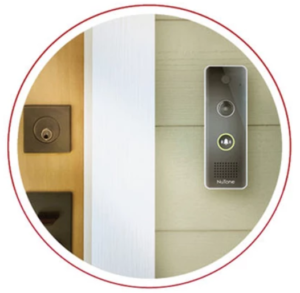 In addition to viewing the camera from inside your home, the system also connects to your phone via an app, so you can monitor your front door from anywhere in the world! The camera is viewable on up to 4 smart phones or tablets and is both Apple and Android compatible, so you can keep tabs on your home anywhere from the office to your overseas vacation. As an added security measure, the system also takes a snapshot every time the doorbell is pressed. The video doorbell isn’t just about protecting your home- it’s also about protecting those inside your home. With the system’s wireless capabilities, you can check that your kids make it home safe from school while you’re still at the office. The system’s motion detection also sends an alert as someone approaches the door, so you can ensure your family is protected from intruders even if you aren’t home. The camera provides a view of an entire 180 degree view of your entry way, and the night vision camera ensures visibility in low light conditions. You can also speak to your visitors via a two-way audio. And remember- thanks to the app, you don’t have to be home to do this! Make sure your packages get delivered safely by communicating with the mailman even if you’re not home. No complicated wiring or installation here! Your contractor will get your NuTone Knock installed in minutes. The NuTone Knock doorbell is made to withstand extreme temperatures and outranks the other leading brands in durability. It can withstand dust and water and is rated for temperatures as low as -22F to 122F. Wherever you live, your NuTone can handle the elements! Unlike a traditional doorbell, you actually have the option of putting the NuTone Knock on Do Not Disturb mode, so you can enjoy uninterrupted family time. It’s also great to use during a baby’s nap or anytime you don’t want the noise of a doorbell.